The MPH curriculum requires 48 credits, including 11 classes (33 credits) of required coursework that is established to fulfill the competencies required for the CEPH accreditation and five electives (15 credits). Included in the MPH curriculum is a 100-hour field experience in which the student is expected to apply the theory and the practice to a particular area of interest in a professional public health setting. The final course in the curriculum is an integrating seminar in which students work in teams, bringing both their individual and joint perspectives, as well as their expertise to address a specific public health problem for a New Hampshire-­based public health entity. For the purposes of determining academic standing, grades below the “B­-” level in graded courses are considered failing grades. The MPH program director will recommend dismissal of a student to the Graduate School when a failing grade occurs in six or more credits, either in two courses or in one course taken twice. Repeating a course does not remove the original failing grade from the record. Students must have a cumulative grade­ point average of 3.0 (B), or higher, in order to graduate. Students admitted on a conditional or provisional basis must meet the conditions or provisions as stated in the letter of admission in order to remain in the Graduate School. The M.P.H. program requires 48 credits of coursework. A grade of B- or higher is required in all courses. Applicants are required to submit a narrative which addresses five questions. Please submit an answer to each question separately in 250 words or less: Download Special Essay Questions. This program is designed for working professionals – classes meeting in the evenings at the Manchester Campus. The MPH program does not meet the full-time study requirement for international students with F-1 or J-1 visas. All applicants are encouraged to contact programs directly to discuss program specific application questions. This graduate program is not available to international applicants who are currently living outside of the U.S. as it does not meet the visa requirements for a full-time program. Quality faculty – faculty come from a range of public health practice settings (academic, private, governmental) and bring their knowledge and “real world” experiences to the classroom. 1. What career possibilities are there in public health? Since public health is a multi-disciplinary field, the range of potential employment settings and job titles varies tremendously. Examples of settings employing public health professionals include: hospital, clinics and other service provision agencies; federal, state and local governmental agencies; insurance companies & managed care organizations; pharmaceutical companies, pharmacies, and labs; consulting firms; colleges & universities; consumer advocacy; and relief agencies. Examples of the vast array of public health job titles include: Public Health Laboratory Director, Hospital Administrator, Health Educator, Community/Public Health Nurse, Environmental Health Sanitarian, Health Planner, Epidemiologist, Data Analyst, and Public/Community Health Program Manager. 2. Obtaining my MPH degree is my starting point into a career in public health. Can I still apply to the Program given I have no direct public health work experience? Yes, you can still apply to the Program. However, since our program is offered in the evenings we highly encourage you to investigate obtaining a paid or unpaid position to gain simultaneous direct work experience in public health. This type of experience provides a valuable context for your MPH coursework. In terms of your application to the Program, we invite students to highlight the transferable skills brought from previous paid and volunteer experiences, as well as public health career interests/aspirations. 3. I am an international student interested in applying to your Program. Am I eligible to apply? The answer depends on the requirements of the visa you would be using to study in the U.S. Student visas (including F-1 and J-1 visas) require attendance in a full-time program. Because the UNH MPH Program is a part-time program, we would not meet this eligibility requirement. 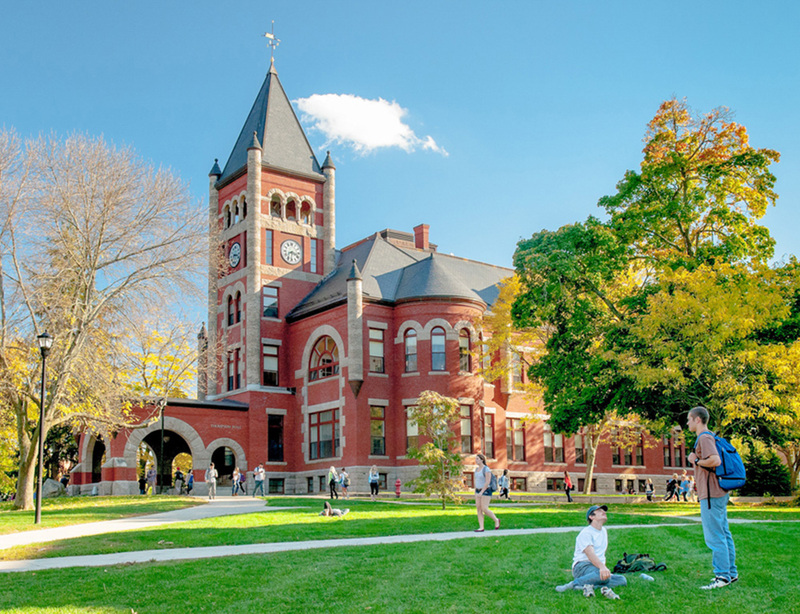 If you have questions about whether your visa allows for study in a part-time program, please contact an admissions counselor at the UNH Graduate School at (603) 862-3000. 4. How do I determine if the MPH or Public Health Certificate (PHC) is appropriate for me? This decision depends on several different factors. First and foremost, what is your goal? If your goal is to be the director of a public health agency or conduct public health research, then the MPH degree makes most sense. If your goal is to have a better base-level understanding about public health, then a PHC may be for you. Second, based on your current life/family obligations, is a two-year or one year program more feasible? Lastly, some students choose to start with the PHC program, knowing that their long-term goal is obtaining an MPH degree. For these students, having a mid-process milestone that they can put on their resume is attractive. 5. What are the career possibilities/potential with a Public Health Certificate versus an MPH? The answer to this question depends on the position. If a position requires an MPH degree, then having a PHC does not meet the requirement. However, if the position does not require an MPH, then having a PHC may provide sufficient public health background to be considered for the position. 6. Can you give me some examples of typical assignments? Professors use a wide range of assignments to support student learning. These include: tests, papers, presentations, essays, case studies, projects, and posters. 7. What is your policy about transferring credits? MPH Students are allowed to transfer in up to 8 GRADUATE LEVEL credits. These credits MUST have been taken in the past five years, come from an accredited educational institution, and be approved by the MPH Program Coordinator. In addition, a grade of “B” or better must have been received. Graduate courses cannot be transferred for graduate credit if used in completing another graduate degree. Credits transfer into UNH on an equivocal basis, hence if you took a 2 credit graduate level course, it would transfer in as 2 credits. 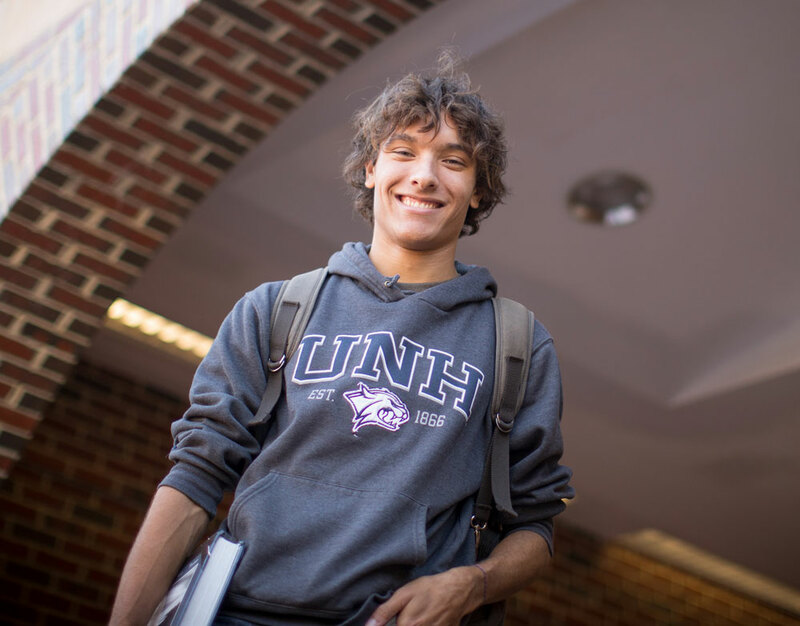 All courses for the Public Health Certificate MUST be completed at UNH. 8. Can I "test the waters" and take a few courses before applying to the MPH or PHC Program? Yes, you can. Students can take up to two courses before applying to the MPH Program. Those interested in the Public Health Certificate can take one course before applying. In order to register for a course, prior approval from the MPH Program Director is required. To register for a course, either register in person by going to the Student Services Suite at University Center, UNH Manchester, 400 Commercial Street, Second Floor or call the Registration Office at (603) 641-4136. Summary: The health department is responsible for enforcing policy enacted by the Westford Board of Health and as a result, department employees are called upon to provide guidance on how to comply with town bylaws and local regulations. The goal of this project is to review and interpret the newly amended hazardous materials storage bylaw and develop a clear and concise training program that allows local businesses to understand their role in managing hazardous materials safely and in accordance with local regulations. Additionally, this project allows for the expansion of education materials which the town can use to educate the public and local business on a range of other public health topics, such as nail salon safety, demolition activities, well testing and healthy lakes and ponds education. Summary: Tick bites and tick borne illnesses, most notably Lyme disease, are a growing public health threat of particular concern in the northeast region of the United States. Workers that engage in fieldwork and other outdoor activities are at an increased risk of tick bites. The objective of this project is to collect information on current policies and practices related to tickborne illness prevention in the workplace among New Hampshire State Agencies. Ultimately, analysis of this information will be integrated into recommendations for best practices for occupational prevention strategies. Summary: This project focuses on the development of a community guide for the Nashua area that provides information on proper needle disposal techniques. Proper needle disposal is important to practice for both environmental reasons and for the protection of waste disposal workers and volunteers who do community clean ups. The objective is to provide educational tools for local community partners to distribute to Nashua citizens that may use medical sharps or have a family member/friend who uses sharps. The creation of the community guide involved surveying, data analysis, research, and developing health education materials. Summary: This project focuses on the breast, cervical and colon cancer screening rates in New Hampshire among social disparities including those with disabilities, those who are non-white and those who live in poverty. The equity task force will also strive to develop an intervention which will effectively increase rates. The objective of this project is to develop a final white paper which gives an overview of relevant data sets, a description of the team's progress, suggestions for improvements and the future plans of the collaboration. Summary: The projects focus is to identify socio-ecological factors (individual level) that may influence nPEP (HIV medication) adherence and their follow-up compliance. This research study will help contribute to a gap in the literature on lack of information on why women throughout Massachusetts who have been sexually assaulted do not adhere or complete nPEP. As a result, this could help with specific interventions on our targeted population. Summary: There is high demand and limited supply of adoptable pets in New England animal shelters, whereas many southern shelters must euthanize a high proportion of animals. This imbalance has created a market for the importation of pets from south to north. There are concerns that pets imported for this purpose may carry infectious and zoonotic disease, although the true risks surrounding pet importation have not been quantified. This project focuses on the presence of zoonotic and other infectious disease in pets transported into NH for adoption. The objective of this project is to assess disease rates in both imported and local pet populations by summarizing state veterinary office records and by designing, conducting, and analyzing a survey of NH veterinarians. This information will guide future dog importation regulations in NH. Summary: In recent years the media has exposed how institutions of higher education struggle to address college campus sexual and intimate partner violence. Sexual and intimate partner violence affects student victim’s educational experience and health outcomes as well as affecting the social cohesion of campus communities. Further, institutions of higher education continue to struggle to be in compliance with Title IX and the Clery Act and applicable U.S. Department of Education regulations and guidance. This project seeks to explain basic requirements of Title IX and the Clery Act and advocate for the use of effective polices and evidence-based practices to prevent and improve the response to sexual and intimate partner violence at institutions of higher education. Summary: This project will serve to inform a proposal for a roadmap for HHS to identify measures of community well-being and its determinants across all essential domains that will work at various geographic levels from neighborhood to the nation, and that will enable partnerships among sectors at all geographic levels. The project work will combine a theoretical review of existing measures of community vitality with application of measures to a New Hampshire community. Final output of this project will include recommendations for 10 to 12 domains to be included in the proposal. Summary: This project focuses on improving the health of young children in childcare settings. In the United States, childhood obesity has doubled in the past thirty years.1 Currently, 1 in 5 children are categorized as overweight and 17% of children are categorized as obese.1 The goal of this project is to ensure that childcare centers have policies in place regarding nutrition and physical activity to help improve rates of childhood overweightness, obesity and overall health and wellness. The objectives of this project are to assess what policies childcare centers currently have surrounding nutrition and physical activity, if any, and provide those childcare centers suggestions on policies to implement, policies to edit and a plan to try and put those edits or policies in place. Summary: Breastfeeding rates for working mothers in New Hampshire need improvement. The overall objective of the pilot study is to better understand the barriers to women breastfeeding after childbirth, particularly focused on workplace policies and support practices that encourage or discourage breastfeeding after returning to work while working with the Maternal and Child Health Section, WIC, and the NH Breastfeeding Task Force. My involvement in the five year study is to participate in early survey development for WIC mothers. The survey will help determine current barriers WIC mothers have while breastfeeding. Initial survey development will determine if the survey is effective in meeting project goals. In the future, this pilot study may help to influence NH policy on worksite breastfeeding practices.